Are you ready for the DARTSLIVE USA OPEN and THE WORLD STAGE 6? Entry is now open so make sure you enter today. 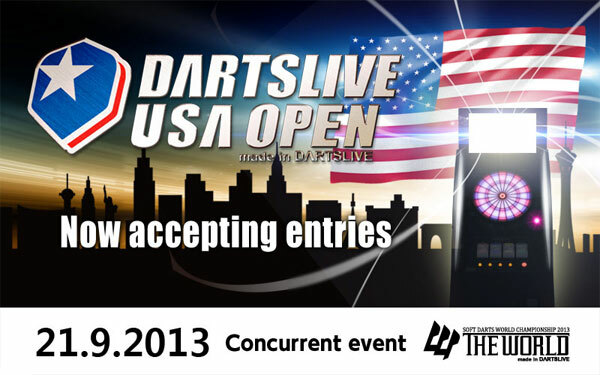 Please check out our official DARTSLIVE USA OPEN Website for full event information. Over $80,000 in guaranteed payouts and it's a GREAT time in Las Vegas! Sign up and book your hotel room today before space runs out! Are you looking to play in THE WORLD STAGE 6? There are only 256 spots in this World class event. Over $30,000 in prize money payouts all on September 21st, 2013. Book your rooms at the Riviera today and get ready for an unforgettable good time!